On 24 September, ERIAC staff had the opportunity to engage with the Open Society Foundation (OSF) Youth Community Fellows from Slovakia, Romania, and Hungary. 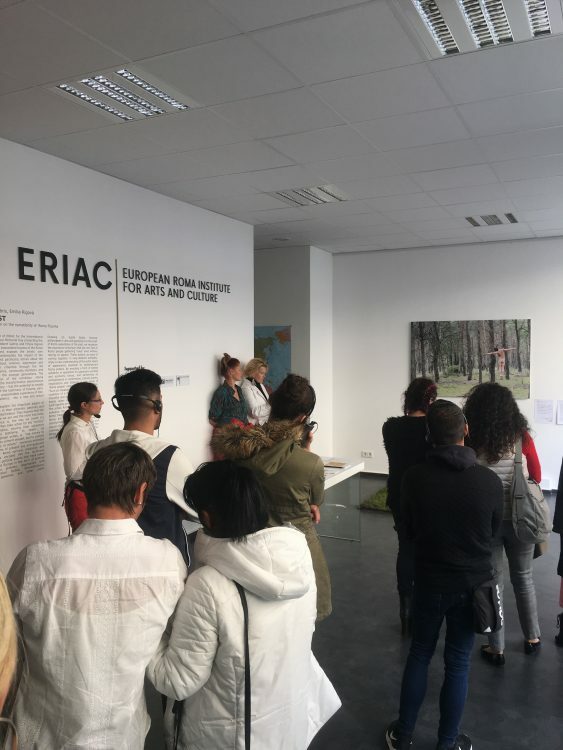 During their visit, OSF Fellows were guided through the exhibition “Forest” and introduced to ERIAC´s vision, mission, goals, and current projects. The fellows shared challenges and priorities from their local context and were particularly interested in ERIAC´s outreach program, developments of Roma rights, and the issue of intersectionality.